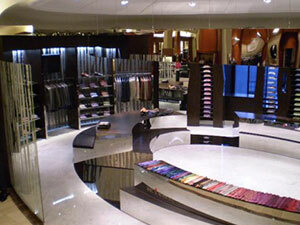 Retail Displays | Dallas, TX - Faubion Associates Inc.
Our display cases maintain a high level of security. In fact, our casework has revolutionized the idea of security in the jewelry industry, so much so that Tiffany's used our retail display to showcase their famous diamond at a special gallery in London. 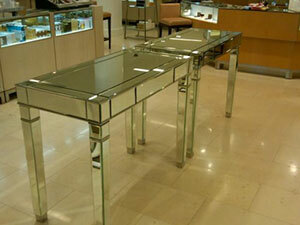 Secure your pieces with our help. At Faubion Associates, Inc. we build cost-effective custom millwork using modern crafting and innovative manufacturing methods. It is our desire to produce store fixtures and other retail products that are custom in nature and built to the specification of each individual customer. 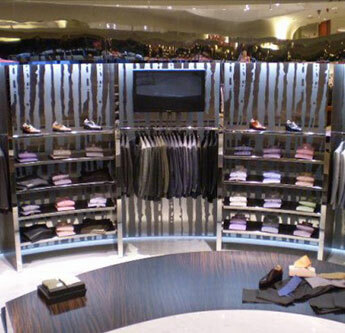 Attract customers with stunning retail displays that showcase your equally stunning products. Based in Dallas, Texas, Faubion Associates Inc. designs and manufacturers custom fixtures and millwork to help you best utilize your space. We use the finest in materials, offer competitive pricing, and utilize premium quality workmanship to create solutions that conform to your specified design intent. We take pride in keeping our manufacturing simple, on budget, and on time. Our team is hands on with the customer. You can always reach our staff, all the way up to President Leo Faubion himself at any time of the day. We are very customer focused and look forward to working with you on a product that will provide you with enough peace of mind to leave your jewelry in their display cases at closing.